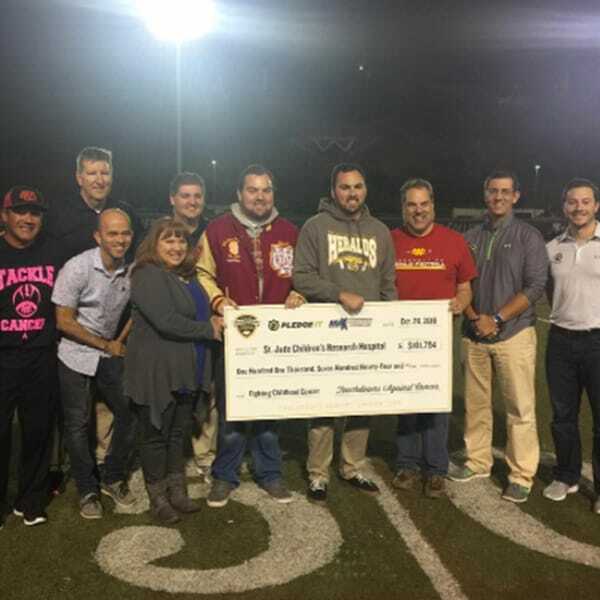 In September 2018, high school football teams across America are raising funds to help St. Jude Children’s Research Hospital fight childhood cancer with every touchdown scored. Every year, 180,000 children are diagnosed with cancer worldwide. 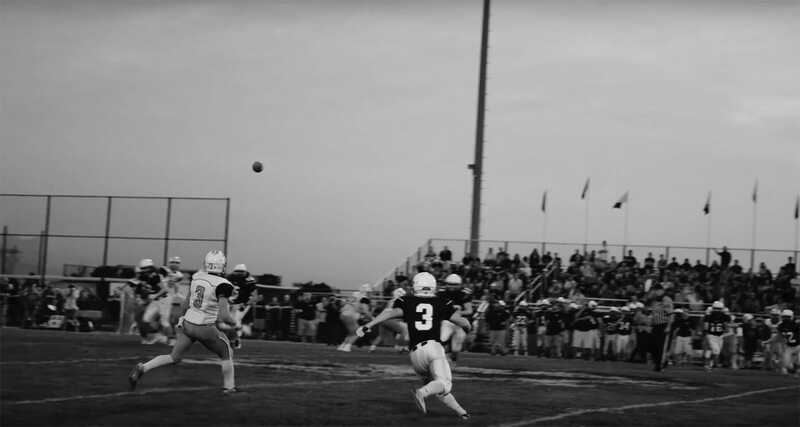 Touchdowns Against Cancer unites high school football teams from across the country with St. Jude Children’s Research Hospital for a common cause: Finding cures. Saving Children®. 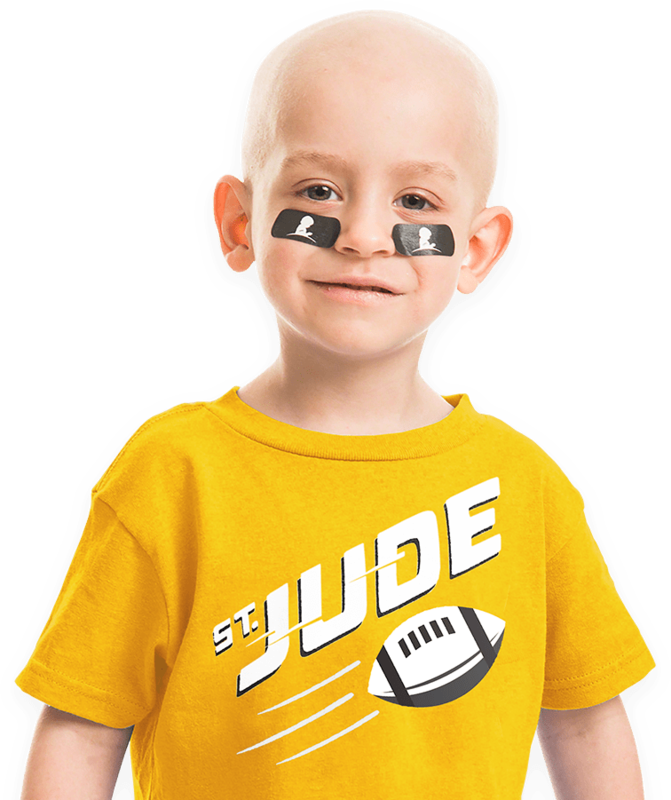 High school football fans and communities can donate for every touchdown their team scores in the month of September in honor of Childhood Cancer Awareness Month to benefit St. Jude. Oak Ridge (CA): Getting ready to Go GOLD for our #TAC2017 game! Calvert (MD): Support Touchdowns Against Cancer Today! 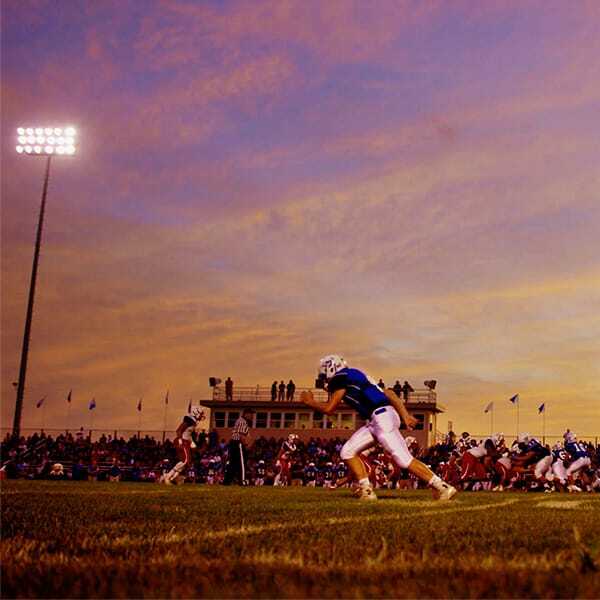 Thayer Central (NE): Proud to help @StJude beat childhood cancer! Antioch (CA): Cheerleaders sporting cool gold TAC shirts! Chopticon (MD): 5 touchdowns in the bank tonight! Union Pines (NC): Adding some #TAC2017 logos to the helmets today! 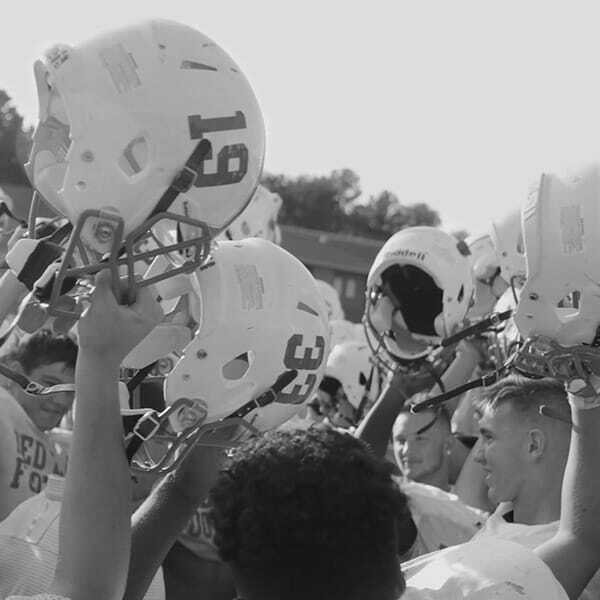 Episcopal Academy (PA): Join the fight against childhood cancer and pledge today!